After a nice handful of days to myself, I have a brand-new review to share with you, SPC faithful. It's for a series that I really enjoyed the second and third games of, yet haven't played the first and fourth. 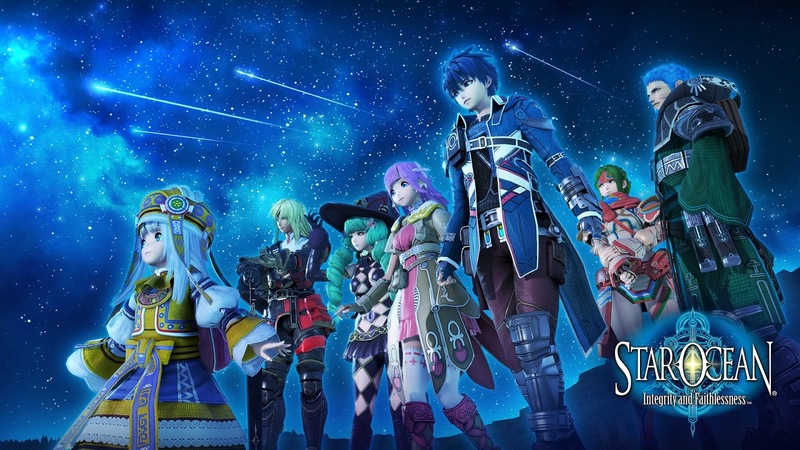 It's Star Ocean, and this evening I'm taking a look at the latest in the series, Star Ocean: Integrity and Faithlessness. Nothing to fear but the Eternal Sphere itself. My first dive into Square Enix and tri-Ace's Star Ocean series was with the original PlayStation's Star Ocean: The Second Story. It was a near perfect mix of science fiction storytelling, fast paced action-RPG goodness, beautiful 2D art and environments, a large series of worlds to explore, and a sensational soundtrack. Its followup, Star Ocean: Till the End of Time on the PS2 was also heralded for its quality. 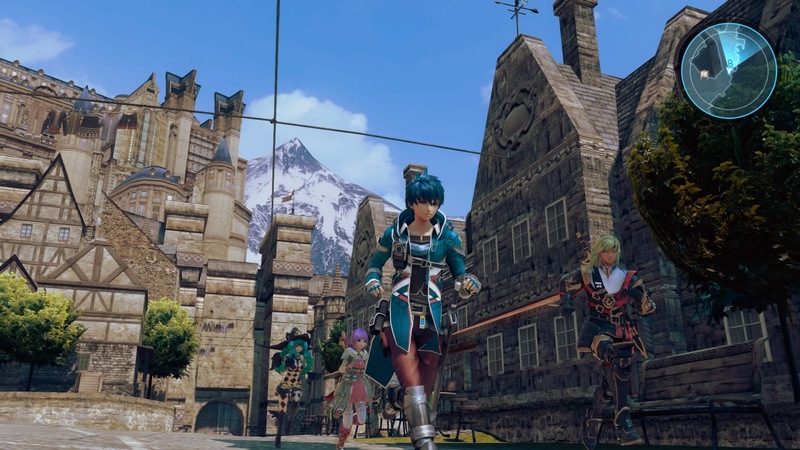 However, Star Ocean started to drown in itself with the release of The Last Hope on last gen systems, and now it's trying to come up for air with its newest installment, Integrity and Faithlessness. While it does get its head above the waves, the series looks like it's still treading water. 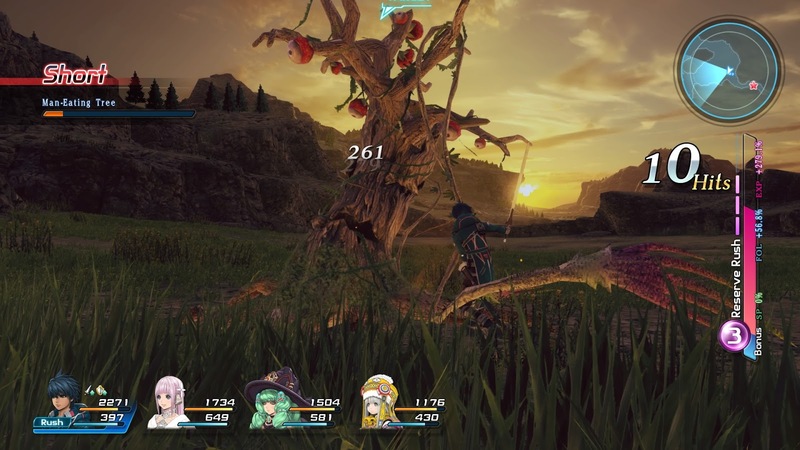 Right away when you compare Star Ocean: Integrity and Faithlessness with other JRPGs being released around the same time or in the coming months, you get the immediate sense that this is as budget as a retail JRPG release on a current-gen HD console can be. 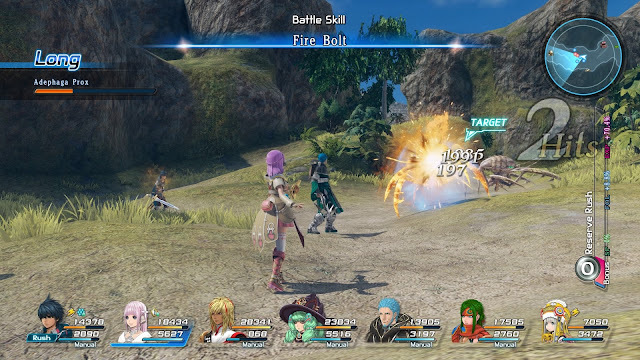 Firstly, the story of this Star Ocean's impact left me indifferent at best and bored at worst. This was mostly due in part because the game for the most part lacks cutscenes. Instead, happenings in the story occur in real-time scenes, with you having the ability to slowly saunter around as the other characters pantomime to one another. 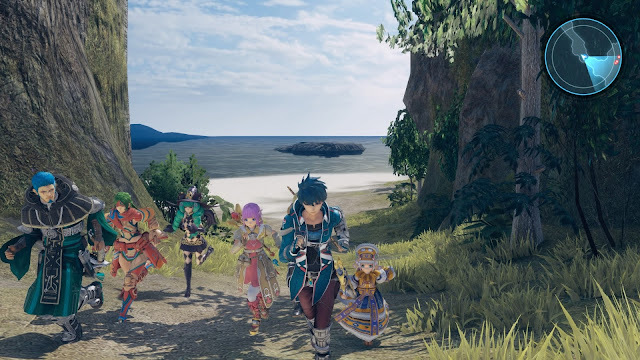 It comes across as incredibly amateur and disappointing, due to how much the Star Ocean series in the past has loved using CG and specially done cutscenes. It's also annoying because you can't just tap on the confirm button to make the dialogue go faster or even skip most scenes. No, you have to listen to pretty much everything each character says, making repeated play-throughs not likely at least for me. Worse than the Ethereal Queen, scenes that you can't skip at all! The actual story boldly goes... well, not very far. The story is played out relatively straight, having the big bad wanting to use the powers of a mysterious and gifted-in-magic girl to rule the galaxy. This results in Fidel, the hero's party in a game of we-have-her, we-lost-her, we-have-her, oops-by-golly-we-lost-her-again for most of the game. The major moments of Star Ocean 5 don't really have much kick to them dramatically due to the aforementioned lack of cutscenes and just aren't really interesting in general. The world of Star Ocean 5 isn't a grand one either. This RPG is a 20-25 affair which has a limited amount of locales to visit, many of which you'll be backtracking to and passing through often just to get to your next destination. The ability to fast travel doesn't unlock until about three-fourths of the way through the game, only exacerbating this issue. Overworld, cave, and dungeon areas are rather simplistic, too. Dungeons are just mere mazes with extraneous rooms and zero puzzles or refreshing features whatsoever. These areas all connect to one another along with the handful of towns in the game. Like any RPG worth its weight in Mythril, in Star Ocean 5, towns have shops where you can buy can weapons, armor, equipment, item creation tools, and items. You can also pass by the locales that will have a dialogue box pop up as you near them, making their dialogue completely superfluous to the journey at hand. 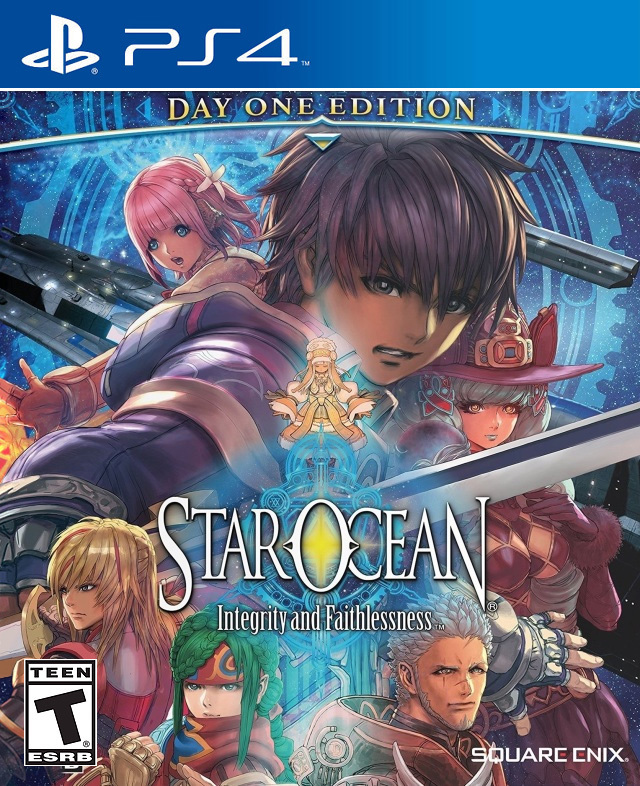 A main staple of the Star Ocean series, that of Private Actions, returns in Integrity and Faithlessness. When Fidel crosses over a specially marked circle, his party splits up and goes their separate ways in a given town. With assistance of the super helpful mini-map the game employs, Fidel can track down party members that have a special event that occurs when Fidel is nearby. Sometimes Fidel is asked a question that depending on his answer either raises or lowers his affinity to that party member. Depending on who has the highest affinity with Fidel at the end of the game depends on which post-credits ending scene you'll get. ...to leisurely walks through Central Resulia. 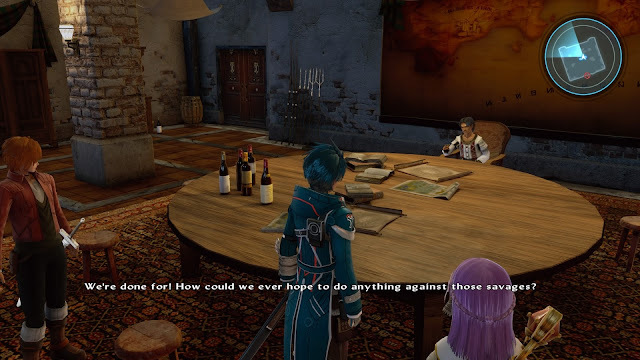 Three of the towns in Star Ocean 5 have a quest board on display in the center of town. As you make progress in the game and complete quests, new quests are added to each board. These objectives range from tracking down a certain NPC, defeating a specific foe or series of foes, or tracking down a special item to satisfy the demands of that quest-giver. For the most part, early quests had me going to nearby locations to pick up the item or defeat the enemy that was needed for that quest. Later in the game, thanks to the ability to fast travel, the need to travel more was necessary to complete the later quests in the game. Completed quests earn Fidel's party experience points, currency, an occasional item, and skill points. The latter is spent on upgrading abilities and roles for Fidel and his friends. Abilities are helpful bonuses that can assist in everything from a higher skill level in alchemy, cooking, and compounding, to name a few; better chances for an enemy of a certain type to drop an item upon being defeated; and a better ability to get good stuff from harvest, fishing, or mining spots in the overworld. First rule of battle: always face your opponent! Roles, on the other hand, are essentially instructions that you can give to the AI in battle to get a better grip on battle. Each party member can be equipped with four roles. These range from always catching spells or using skills, being able to take down plant-based enemies quicker, staying in close range of an enemy, and a lot more. Battles in general are flashy, real-time affairs where a rock-paper-scissors-like triad system is used. Weak attacks break up strong attacks, strong attacks break up guards, and guards can counter weak attacks. Successfully using the correct attack or guard at the right time slightly raises something called the Reserve Gauge. Fill it up enough and you can use a powerful Rush Attack. However, when Star Ocean 5 eventually has Fidel's party at a full seven member limit, trying to see what a foe is about to do with all of the graphical special effects and magic on the battlefield does not come easy. I just ended up using special attacks for the most part, completing ignoring the rock-paper-scissors system altogether. I still ended up filling up the Reserve Gauge regardless, especially when later in the game I could just synthesize and augment weapons that allowed me to fill the Reserve Gauge at an extraordinarily faster pace. Man-Eating Tree meets Tree-Killing Man. These battles still end up being enjoyable. Sure, early on you can get away with just button mashing your way to victory, but as the challenge increases, so does the amount of overseeing you have to do for your party. Just controlling Fidel alone won't help. Switching between characters on the fly is done easily, as is switching between targets. In battle you can pause the action to seek through your inventory for a lifesaving item, pick a spell to use, reorganize roles, or change up what main battle skills everyone in the party uses. While the battles can become to flashy for their own good, I always felt that I was in control of how battles turned out in the end. Miki serves as one of two main spell casters in Fidel's party. 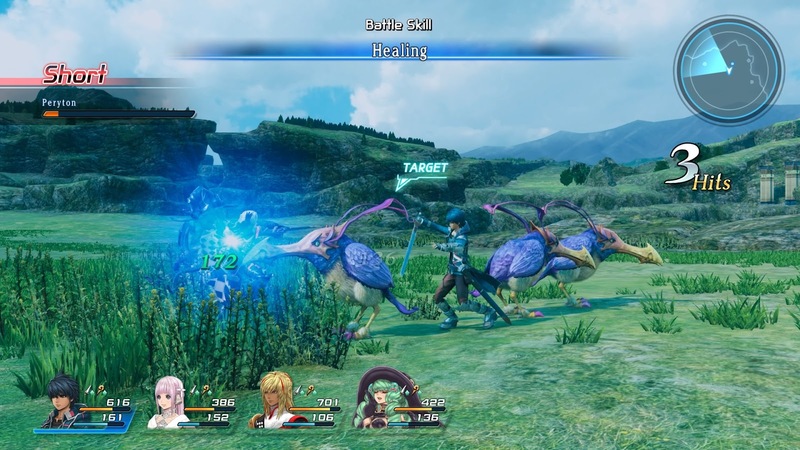 Star Ocean 5's visuals return to the idea of this being a budget JRPG. Obviously, this is the PlayStation 3 version jazzed up to look nicely on the PlayStation 4. After playing several games built for the PS4, it's hard to look past characters clipping through their clothing and other characters, poor textures on things like the large rocks on the beaches, the massive amounts of pop-in of blades of grass in Resulia Plains, and so forth. While the visual appearance of Star Ocean 5 isn't the most impressive, Motoi Sakuraba's soundtrack to the game most certainly is. It isn't his best work, but it's no doubt a better effort than his recent Tales soundtracks. Star Ocean: Integrity and Faithlessness is really a game that is late to the party. It's 2016, so its old school styling and tropes, ones that were fine for the era of game it's serving as, don't really fit this more modern era of gaming. Sure, there aren't any random encounters, instead offering battles that occur by engaging or being engaged by the enemy while fighting in the same maps you explore. But instead, there is a lot to not like, such as the cheap-feeling lack of cutscenes, the lack of autosave, the inability to skip most story sequences, getting a game over and then having to sit through the same scene before the boss that annihilated your party (especially one where you have to defend a brain-dead AI teammate), and some sudden difficulty spikes. At the same time, as a fan of games of this ilk, though knowing and dealing with all these negative aspects of Star Ocean: Integrity and Faithlessness, I ended up enjoying the game overall. It's not at all worth its full MSRP asking price, but if you wait for it to drop a little, I think it's worth delving in to.